Bitcoinist chatted with a good friend of ours this past weekend. 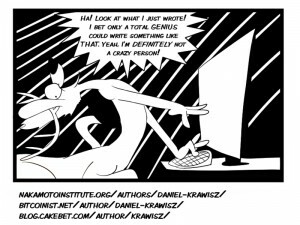 Daniel Krawisz an activist and prominent voice in the digital currency space who once drew some cool comics here at our publication. As well as being a talented artist, Krawisz is the Director of Research at the Satoshi Nakamoto Institute. He’s also a great speaker and was recently a guest at the recent Bitcoin Investor Conference in Las Vegas, the Texas Bitcoin Conference, and many other events. You can find his writings over at the Nakamoto Institute, which include very historical content on the digital currency along with well-formulated opinion pieces. 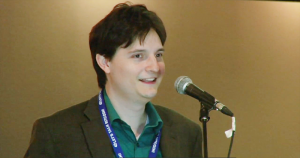 He’s also well-studied in Austrian economics, and more of his work can be seen at The Mises Circle Blog. We discuss a wide range of topics all over the landscape of cryptocurrency, economics, and this emerging economy. Bitcoinist: When did you first hear about Bitcoin? Bitcoinist: What intrigues you most about Bitcoin? DK: Bitcoin is an environment in which the abstract subjects necessary to understand it have enormous practical consequences in my own life, which is not what I was expecting when I originally pursued them. Bitcoinist: When did you come up with the idea to start the Satoshi Nakamoto institute? DK: My friends Michael Goldstein, Pierre Rochard, and I had been discussing the economics and design of Bitcoin in student discussion groups we had created called The Mises Circle at UT and The Cryptoanarchy Club at UT. When we engaged with the rest of the Bitcoin world, we realized that our understanding of Bitcoin was a lot stronger than we realized. We had been operating like a classroom in which we took turns presenting what we had learned to one another, and we had discussed Bitcoin as a product of the Cypherpunk tradition and in the context of other cypherpunk ideas. This was evidently not the way that most Bitcoiners thought about Bitcoin. 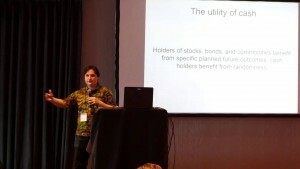 Michael Goldstein had jokingly discussed the idea of creating a Satoshi Nakamoto Institute with one of his friends, because he knew that it would annoy his intellectual opponents to present Bitcoin in a way that emphasized the connection between its inventor and the tradition he drew upon to create it. We then gradually decided that we would all really like to take the joke one step further. Bitcoinist: Can you tell our readers your opinion of Altcoins? DK: The value of a currency is caused by how widely demanded it is. The reason you hold cash is because you know you can very easily get rid of it in exchange for whatever you need at any time. The interesting thing about that is the more that people want cash, the more objectively useful it is. This is what I mean by the network effect. If the network effect really is the explanation for the value of a currency, as I claim it is, then it becomes very difficult to imagine how two currencies could be in equilibrium with one another. Any trend which promoted the growth of one at the expense of the other would tend to reinforce itself: for the growth of the network inherently improves the usefulness of the currency, thus attracting more people to it regardless of the original reason that the growth took place. I think that altcoins are networks of people who talk a lot about issues that would be moot without answers to fundamental questions about the economics of their situation, which they have consistently been unable to provide. For example, a necessary prerequisite before I would invest in a currency other than Bitcoin would be an explanation as to how it will beat Bitcoin. If you’re not even going to try to do that, then from an investment standpoint, I would say that you might as well not bother creating the altcoin at all. Yet altcoins are rarely if ever presented with this premise in mind or even a sufficient awareness of the problem. 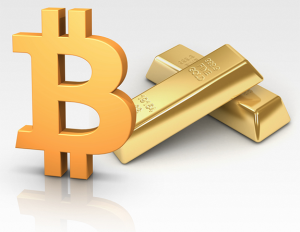 Rather, altcoins are usually presented as alternatives to Bitcoin for special niches. From my perspective, someone who is attempting to sell to me a cryptocurrency as a niche product within the Bitcoin ecosystem is either someone who does not understand what he’s talking about or someone who is trying to take advantage of me by lying about my investment prospects. I think if someone has promoted an investment to me without being able to explain what might actually cause it to be financially successful, then that person has wasted my time, regardless of how wonderful its hash function is. Bitcoinist: What are your thoughts on the current permissioned blockchain enthusiasm? DK: A permissioned blockchain is an oxymoron. The whole reason that the blockchain was invented is to make Bitcoin a decentralized and anonymous system in which everyone can come to the same arbitrary consensus about the history of Bitcoin. (Bitcoin is anonymous for miners, even if it is not for buyers and sellers). The very concept of a permissioned blockchain invalidates the need for a blockchain. You could probably just use a MySQL database. I think the bigger issue here is it’s really important to be selective about the kinds of trends you pay attention to. The Bitcoin world is full of fads and there aren’t a lot of resources being put into vetting ideas here in the way that might be found in an academic setting. I find it pretty shocking to go to conventions and meet people who are very enthused about blockchains who have never heard of a distributed hash table or Open Transactions or any kind of alternative that might be relevant to the problem they’re trying to solve. I think most of the uses that people have proposed for blockchains, other than Bitcoin itself, are pretty maladaptive. Bitcoinist: What’s your opinion concerning politicians who have been against encryption? DK: I think that it’s important to frame your intentions around outcomes that are actually achievable. For example, I think it would be great if our world had physically real cartoon characters like in Who Framed Roger Rabbit. I also recognize that this could not be accomplished by political will, no matter how patriotic. By contrast, I think it is reasonable to infer from the fact that someone would bother to mention that he is “against encryption” that he thinks his fantasy version of mathematics is a relevant topic of discussion for public policy, as if there actually were a way of preventing people from running certain algorithms on their computers and sending the results over the internet. Bitcoinist: What do you think of this latest news that Australian Craig Wright is allegedly Satoshi? DK: Sorry, I just don’t follow that kind of news. My experience is that Bitcoin news is mostly meaningless long term, so I assign anything I hear a low a priori probability of being important. I would be very interested to learn about the human identity of Satoshi Nakamoto, but that can wait until we are more likely to have reliable information. Bitcoinist: How do you feel about Bitcoin’s current value price wise? DK: I feel pretty good about it because it has been higher, recently, than values which I had become used to. If the price were higher, I would feel better about it. If the price were lower, I would feel worse about it. Unfortunately, I have no more insight about Bitcoin’s day-to-day matters than that which is provided by the abstract economic issues which I have already written about in my articles. The plus side is that I think most of my articles are still as relevant today as when I wrote them! Bitcoinist: What’s your opinion of the state of its infrastructure and industry overall? DK: I don’t think that I have the kind of view of the Bitcoin world that would be required in order to form an overall opinion of it. I have been a little out of the loop recently because I had to get a real job, as depicted in this comic strip. 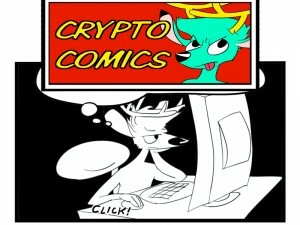 http://www.furaffinity.net/view/18140594/ As a result, I’ve become a lot more confident about my software engineering skills and I’m actually a lot more interested in what I’m doing now than in what is going on with everyone else. That’s a pretty good feeling to have. Bitcoinist: Do you think the black market and concepts like the Silk Road gave Bitcoin initial value? DK: The initial cause of Bitcoin’s value was investment by people who thought it was worth it to expend a tiny amount of energy or money in exchange for the unlikely but hugely beneficial possibility of Bitcoin’s success. I believe that Bitcoin’s success depends entirely upon people holding their profits in Bitcoin. Since profits occur on the black market just as on the white, there is no particular reason to prefer one over the other. Therefore, from my perspective, a rational reason for the original Bitcoin investors to have provided it with its initial value would have been the prospects of an online black market in which Bitcoin was the established medium of exchange. I would like it if we could recognize that the black-white distinction is just not all that relevant to Bitcoin. Black and white are just labels that other people put on various activities that have no connection to the activity itself. If I went around and told everyone I met that they were a “clockwise person” or a “counterclockwise person” based on how I felt that morning, no one would think I was making any sense. That’s what I think the black market and the white market are like. Bitcoinist: Do you think Misesian theories like the regression theorem apply to Bitcoin? DK: Austrian economics attempts to frame its inquiry in terms of the purposes of goods rather than their physical properties. Bitcoin does not allow us to do anything that is new from the standpoint of economics. It is used just like other currencies of the past, only it is a lot better in certain ways. Therefore, if the Austrian theory of money does not apply to it, then the theory was not a successful application of its own methodological goals. However, I believe that the Austrians have correctly explained the causes of the price of money, and therefore that the theory should be applicable to new forms of money as well. The way that the regression theorem applies to Bitcoin was a subject of some confusion originally. Konrad Graf has laid to rest all confusion. However, I would say that the regression theorem is really kind of a distraction. I think that the people who have dismissed Bitcoin have laid out pretty terrible arguments, so while refuting them is important, I don’t think that doing so brings out any really new ideas in economics. I would like to see more exploration of the field that Nick Szabo has called “intrapolynomial cryptography”, which concerns the overlap of economics and cryptography. I would strongly encourage any economists who are interested in Bitcoin to actually learn the theory of cryptography really well and vice versa for cryptographers or software engineers because I think that there is a lot of mutual ignorance. Bitcoinist: Why do you think certain Gold Bugs reject Bitcoin? DK: I think there are some circumstances in which Bitcoin would be a bad investment at the same time that gold would be a good investment. For example, because gold is physically scarce and requires huge capital investments in order to mine, it can be expected to be valuable as a display of wealth even if it is not used as a currency. I don’t think that Bitcoin can function in that way because the cost of acquiring a Bitcoin is caused entirely by Bitcoin’s status as an established human tradition. This is how I think about the difference between Bitcoin and gold and how I would judge one over the other in a particular case. I think that gold bugs believe the most important distinction between Gold and Bitcoin to be that one is physical and the other is a potentially corruptible human tradition. That’s a pretty reasonable thing to worry about, but I think you can argue that good money is a good tradition that’s potentially a very worthwhile investment. Thanks Daniel for your time with us and having an excellent discussion on these subjects. 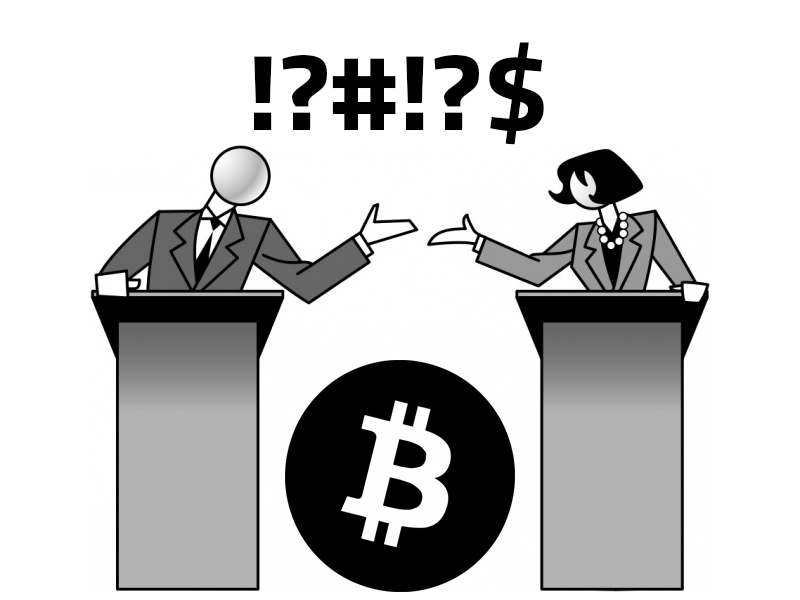 What do you think of arguments that have risen against Bitcoin? Let us know in the comments below.